Find the best places to enjoy National Chicken Wing Day in the entertainment capital of the world! Las Vegas is known for it’s wild all night events, copious amounts of alcohol and gambling for days. Beautiful shows and music light up the Strip, and entertainers capture our attention immediately. So what will you do when hunger strikes? Sure you could go to the latest theme bar, you could even head to the fanciest rooftop restaurant in the city – OR – you could check out these Top 3 amazing places to get your grub on during National Chicken Wing Day on July 29th. You don’t need to head to Buffalo, NY for a taste of the original, starting with number one on our list, we’re immediately transported right to where it all began! 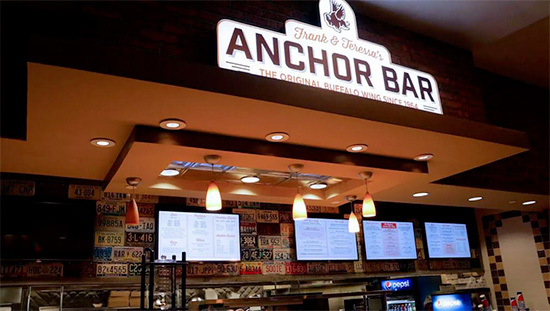 With the date coming up soon, there will be no better place to celebrate than Anchor Bar. In 1964, Teressa Bellisimo accidently created the delicious treat while preparing a late night snack for her son and his friends. Instead of tossing out chicken wings that would normally be meant for soup, she chose to deep fry them, coat them with delicious butter and hot sauce – and the Buffalo Wing was created. Because of the deliciousness of the new found recipe and it’s popularity, Buffalo Mayor, Stan Makowski decided that July 29th would be National Chicken Wing Day. Anchor Bar has a wing for everyone! Come in and enjoy your favorite: Mild, Medium, Hot, Suicidal and exclusive Las Vegas wing flavors like Salt & Pepper, Teriyaki Sesame and Honey-Ginger. The second most recommended place for wings by blind Facebook Survey, fans are ecstatic about the wings here at Johnny Mac’s. Not only are the wings amazing, but this is a great place to snag some delicious, one of a kind house-made bleu cheese. Supplied by Tyson with fresh and never frozen wings, you should know as far as wings go, they are huge! Using top of the line Broaster fryers and zero-trans fat rice oil, Johnny Macs knows their wings. 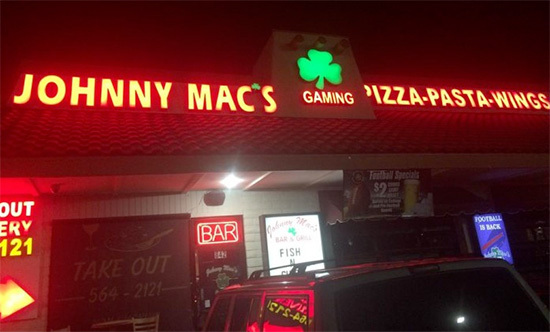 Originally from Buffalo, New York, owner Johnny Mac can’t miss. Never frozen, and never a disappointment, Wing Nutz is proud to serve cage-free chicken, baked to perfection meaning that these wings have as much as 75% less calories than a deep fried wing. 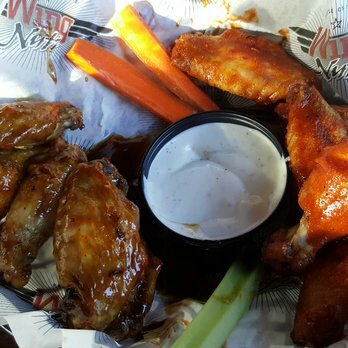 Wing Nutz also uses a unique 3-step process to create wing perfection. Steamed, baked and then crisped, Wing Nutz has 18 different flavors to tantalize you including home made sauces to accompany the delicious snack. Try the Zesty Orange, the Southern Honey, Parmesan Curry or Raspberry Chipotle. In addition to Buffalo Wings, try an order of the Hog Wings! If you can’t decide which one you like the best, you can order the famous Oink & Cluck combo which comes with 5 chicken wings, 2 hog wings, your choice of a side, sauce and dressing. 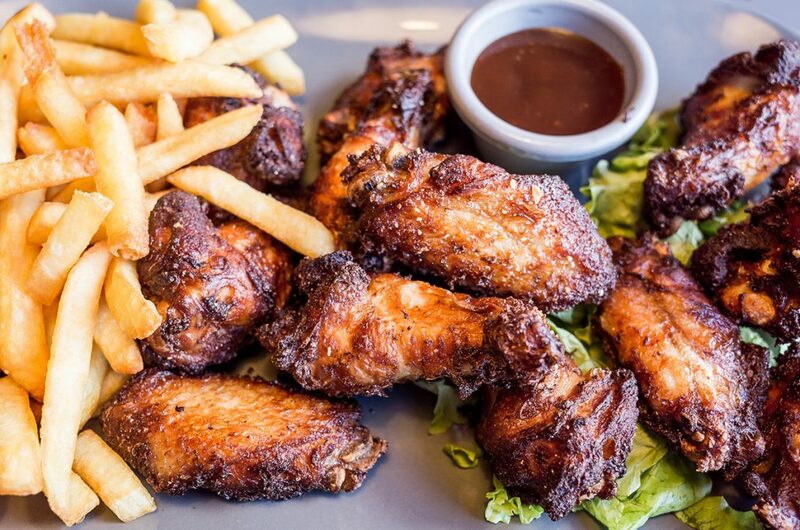 If your mouth isn’t watering for delicious, juicy wings by now, then you should just visit in person! Make reservations for your favorite location right away! Don’t wait! With July 29th fast approaching, you want to make sure that you and your group have a fantastic National Wing Day experience! Looking for other locations? Perhaps other cuisine? Contact us and let’s discuss your Las Vegas Summer travel plans!